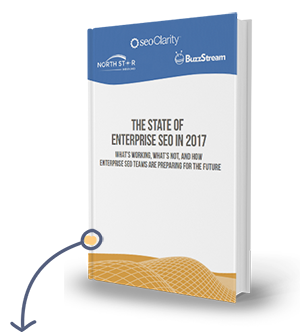 The widest enterprise SEO survey to date. In partnership with North Star Inbound and BuzzStream. We picked the brains of 240 SEO specialists across the country to find out the most pressing issues, most effective SEO strategies and more right down to the details of budgets, team size and the challenges of keeping up in the ever-changing digital landscape. Which strategies are working well for enterprise-level SEO teams? How are companies preparing for mobile-first search? Fill the form and get the 48 results and insights, and see the methodology.